After our painting has completely dried, it can be varnished. This painting was glazed; that’s why it has both a matte and glanced surface look. This is how the painting looks before and after varnishing. 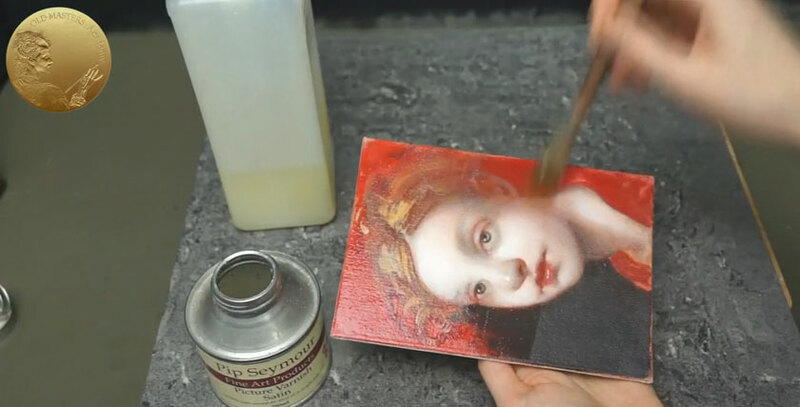 The Varnish made the surface of the painting look uniform.